Home / NASA / Physics / Science / The Cochno Stone: A Massive 5,000-Year-Old Cosmic Map? 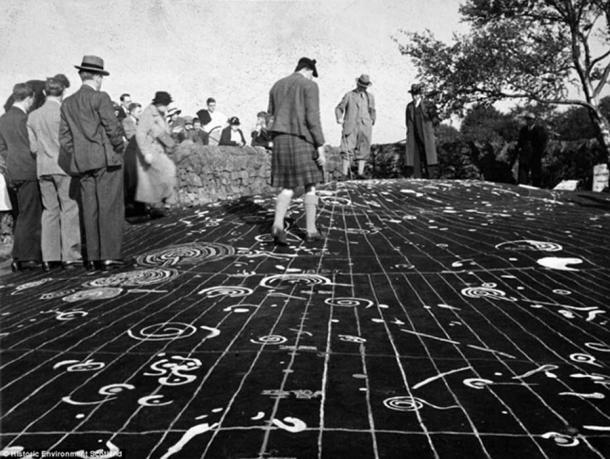 The 5,000-year-old ‘Cochno Stone’ contains around 90 intricate spirals and intentions that according to some authors, represent an ancient cosmic map. Discovered in 1887, the mystery stone remained buried for decades in order to protect it from vandalism. Discovered in 1887 by the Rev. James Harvey, the ancient stone measures 13 meters by 7.9, and features around 90 intricate carvings—considered as one of the finest sets of petroglyphs in Scotland—which according to many researchers represent a cosmic map, detailing planets and stars. So far, archaeologists cannot agree on what is exactly depicted on the massive slab.There is no consensus among archaeologists on the meaning of the intricate symbols found on its surface. Is it perhaps a map of the sky or the earth? An altar where rituals were held?